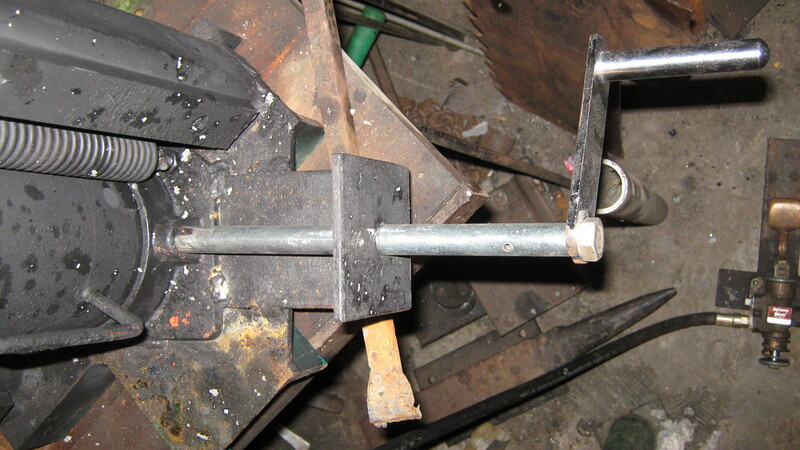 I made this little press for my demo at the New England Blacksmiths fall meet. It was a big hit and it got lots of attention. Many pictures takenand questions asked and answered.This is a very simple design and can be put together rather quickly. 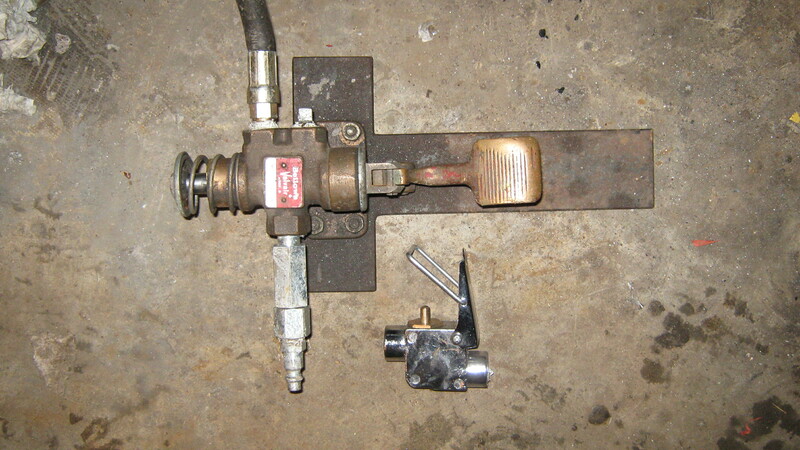 First and most important is the air over hydraulic jack. Its a 20 ton Jack from Harbor Freight tools on sale around 80-90 bucks not on sale about $119.I built my frame from some left over 2x2 square tubing with a 1/4 inch wall. 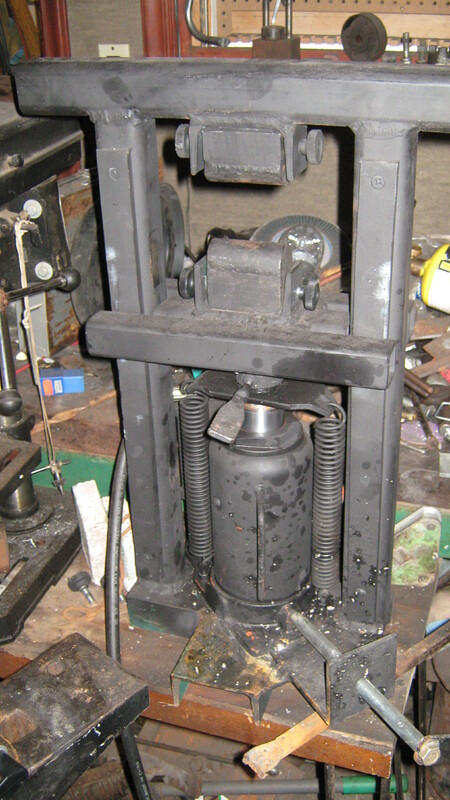 I built it 22" tall and there is 8" between the uprights.It is just enough to get the jack inbetween the uprights with a little bit of grinding off the base of the jack. 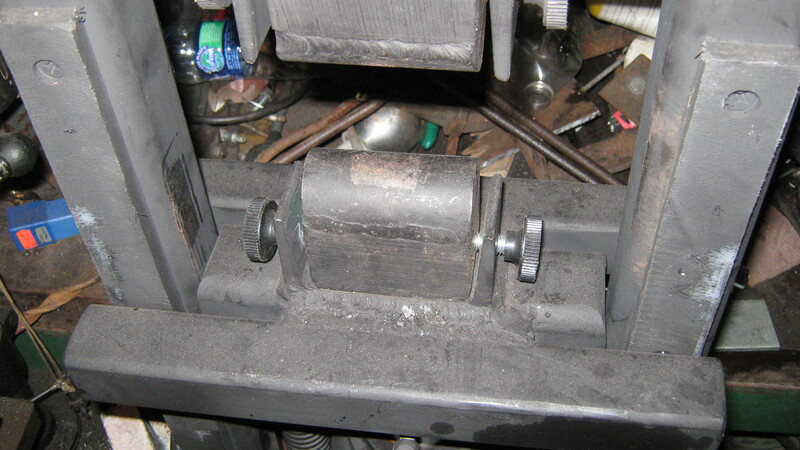 I also welded the jack to the base so it would not move.At the moment I have 2 sets of dies. Flat and half round.I put UHMW on the front and back of the uprights which helps the bar that the bottom dies sits on slide up and down.I also made it so the top of the jack attaches to the base of the die it helps the die base come down with the jack. 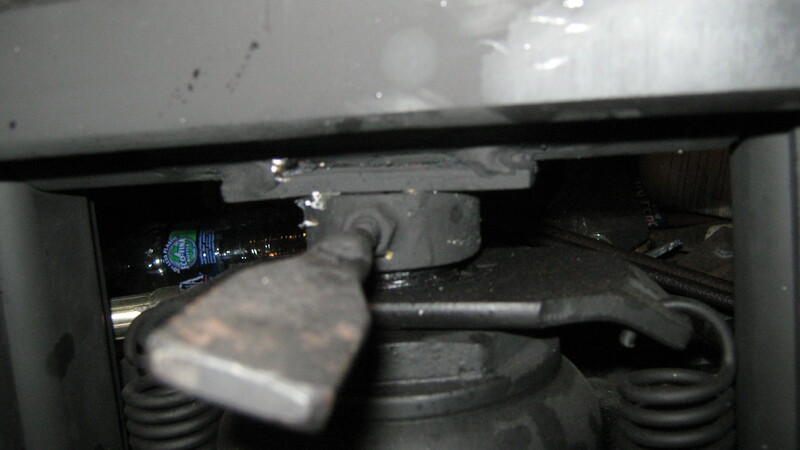 The silver handle is what releases the jack to be pulled down by the springs. Its 20 tons in a very small package that you can set on the bench and use.